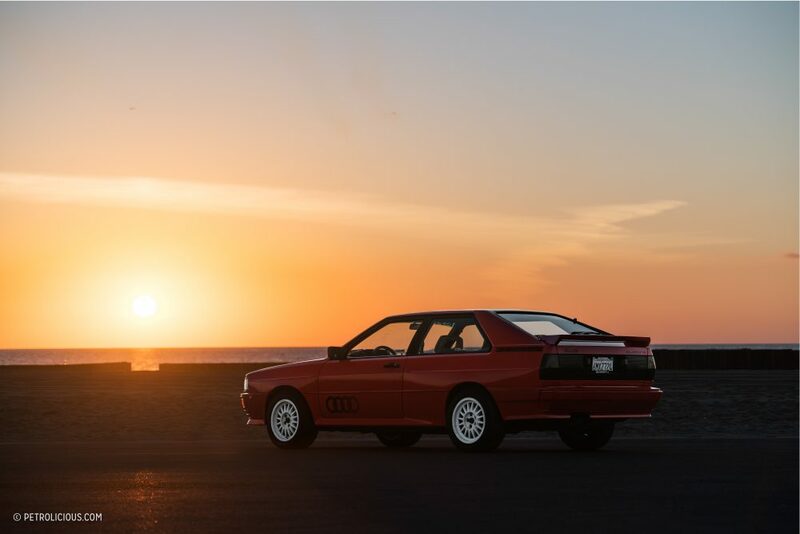 Production topped out at more than 11,000 vehicles, far beyond the initial plans to produce the homologation requirement and no more, but even with so many produced only 664 of those originally made it to US shores. 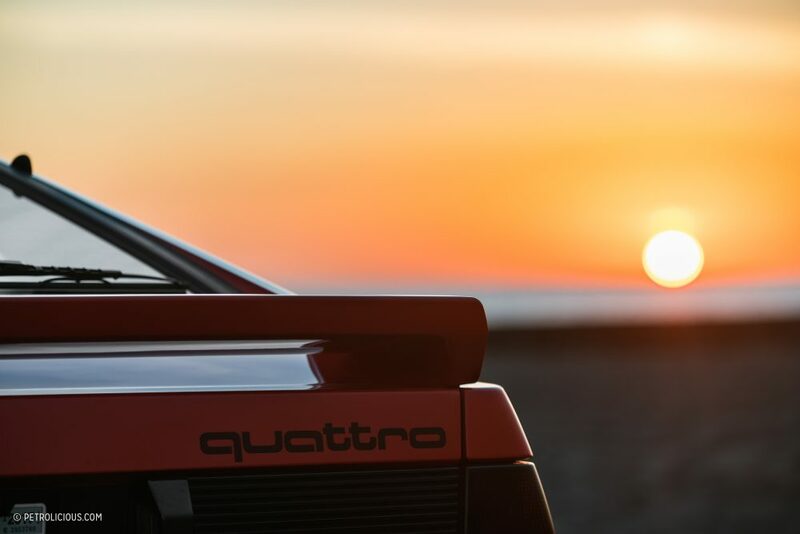 Given the novelty of full-time four-wheel-drive, the boxy sports car was predominantly sold in states that saw heavy winters and with that in mind, it’s safe to assume most of the ur-Quattros that made it over were well-driven, especially in messy conditions. That also might explain why well maintained original examples are nearly impossible to come by now. 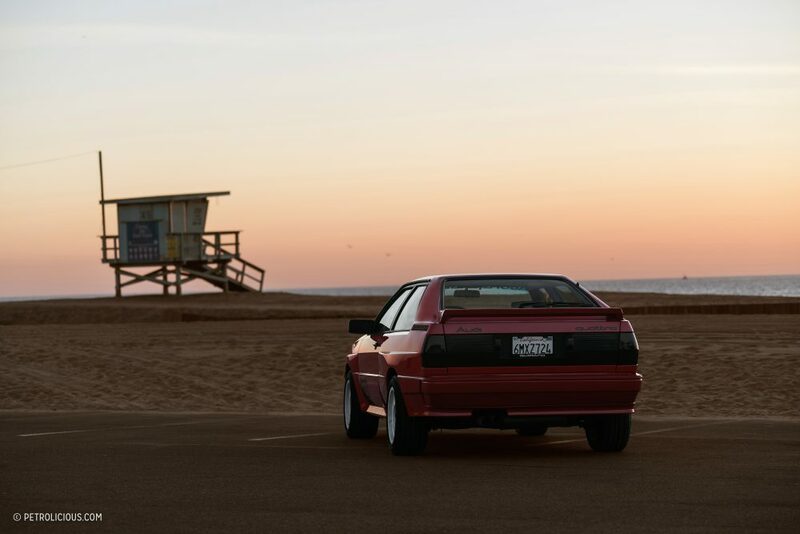 Which brings us to a most unfamiliar environment for a machine so meticulously engineered for unfriendly roads, a sun-bathed southern California beachside parking lot. 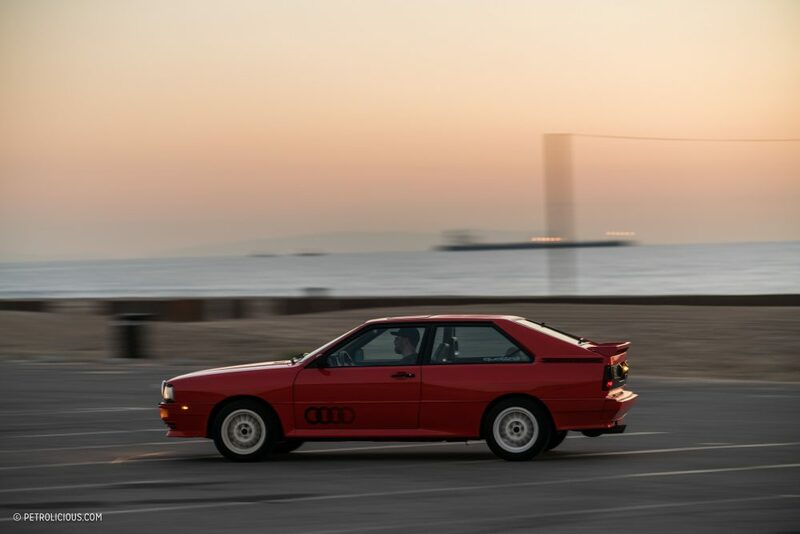 Damon Schell and I sat in his 1983 Audi Quattro Coupe, the road-going version of the exalted rally machine that led the way for Audi’s reputation in the sport’s heyday in the ‘80s. 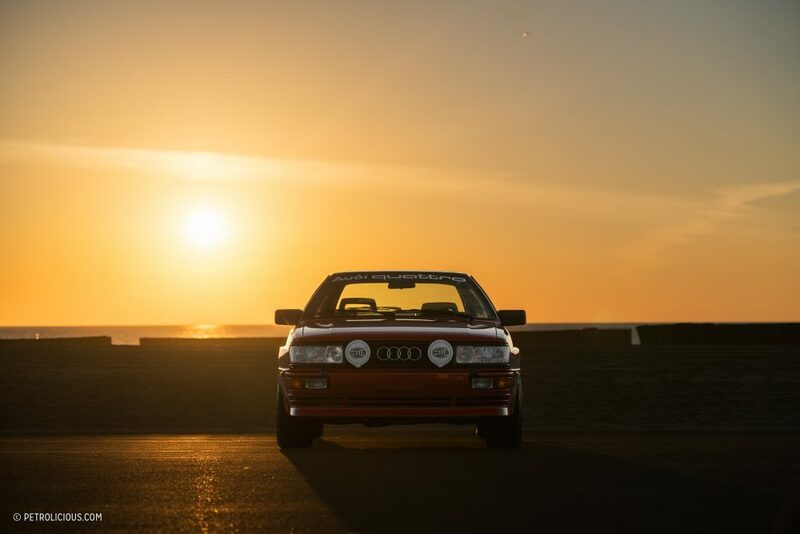 As the sun dipped towards the horizon and the airliners roared overhead having just departed LAX, we chatted about his car and what makes it so special. 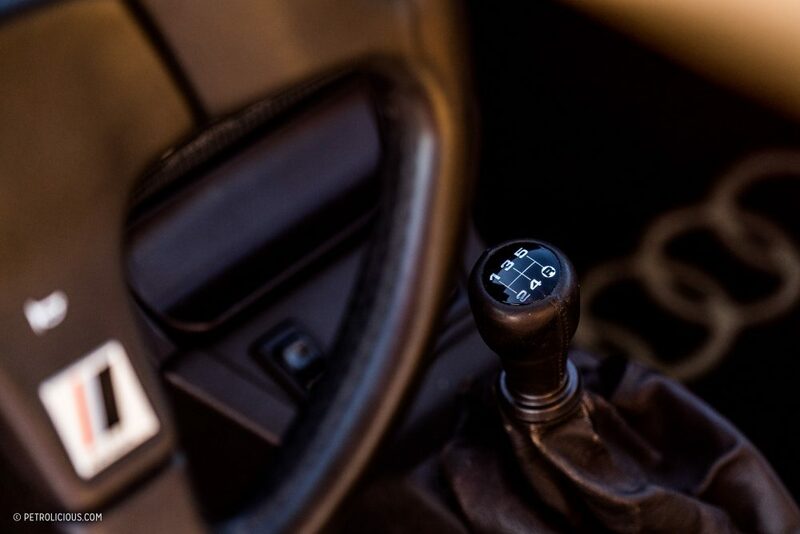 Jonathan Harper: Let’s start with the basics: how did you get this car? Damon Schell: I came by this one in the early 2000s. 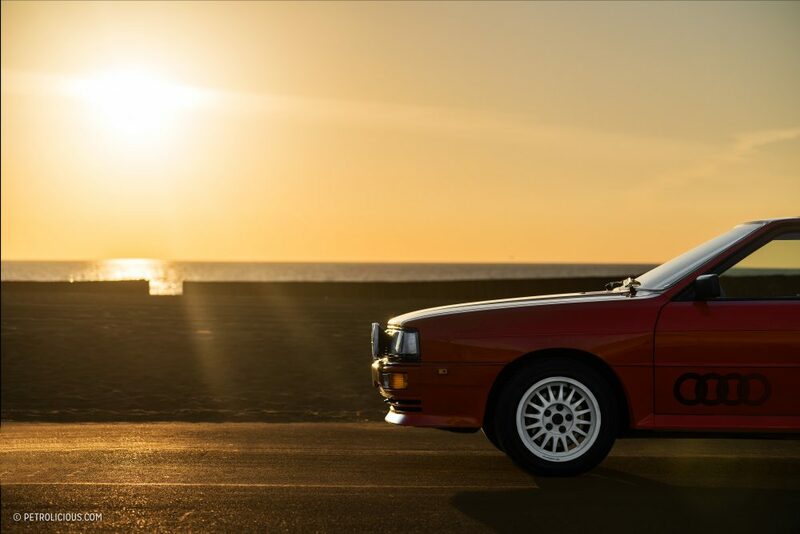 To be honest, at the time I was looking for a muscle car to purchase, and I didn’t think anything like this would have existed in my price range. A co-worker knew I was also looking for a car though and I had just gone through a divorce, so I decided I wanted to do something fun for myself. He pointed me towards this car, and the rest is kinda history. I started a dialogue with the previous owner too, and we just got along so well, sharing stories and everything, and he sort of chose me. It was a neat experience to say the least. 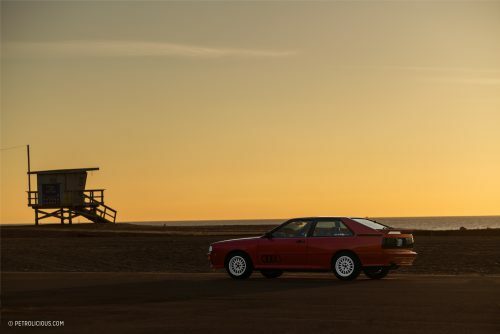 JH: You said you were looking for muscle cars, but have you always been an Audi guy? DS: I have. I grew up in Colorado. I went to Pikes Peak multiple times as a kid. The president of my mom’s company bought one of these instead of a 911, and the other president of the company bought a 911. So they had this banter going back and forth about who had the better car. 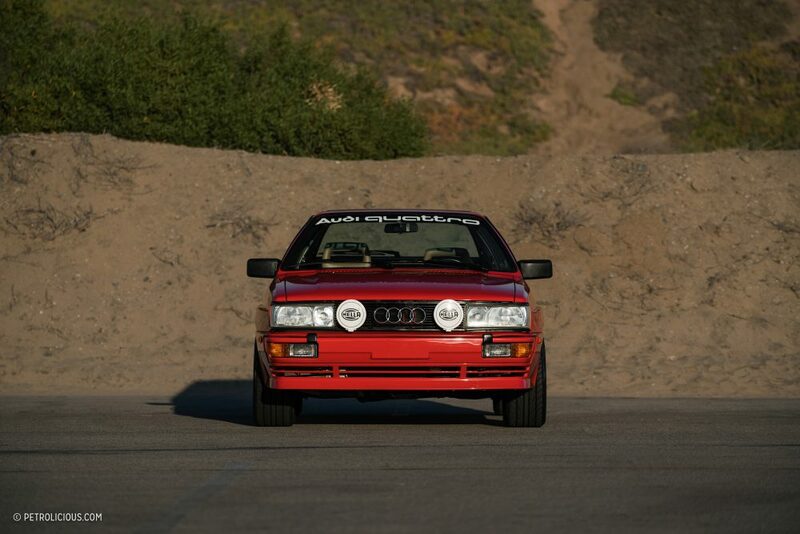 Getting in the backseat of the Audi as a child and drifting around on the roads outside of town though? 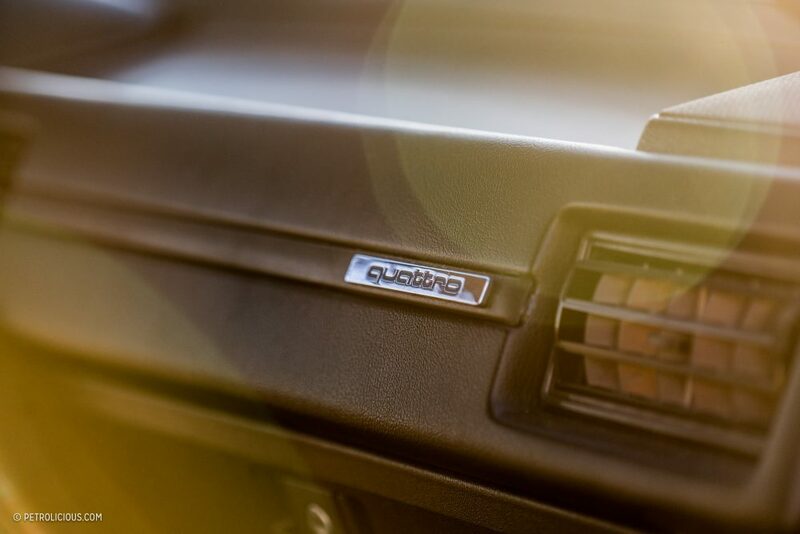 I was instantly enthralled with Quattro and everything it was built for. 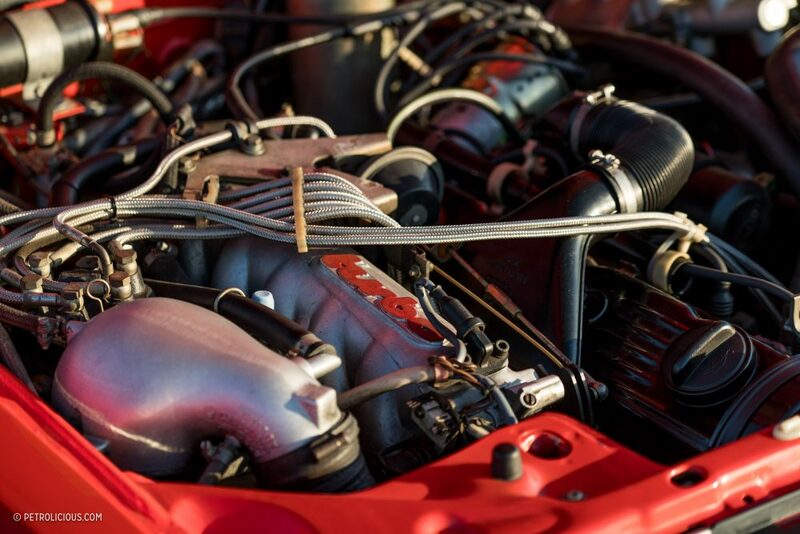 JH: You mentioned a few things on yours that are no longer factory—to what extent has your car been modified? DS: It’s very minimally modified, and reversible. 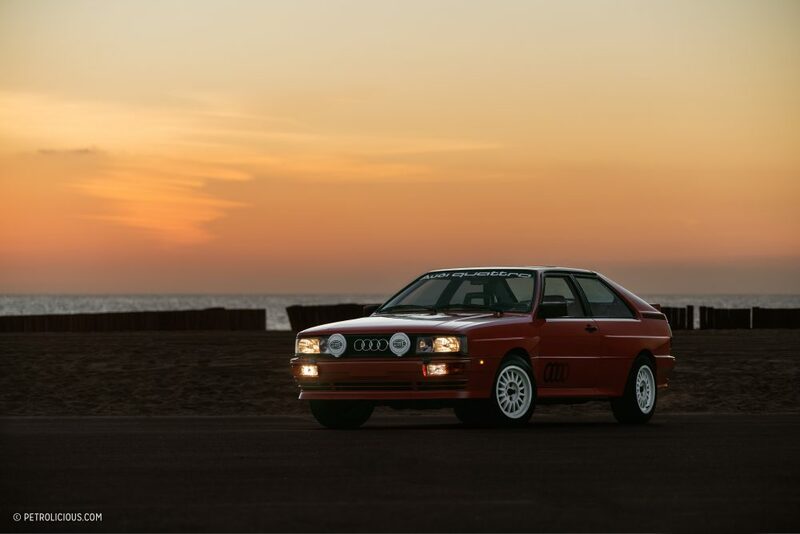 The previous owner did a few things to give it a slightly more European look and that meant the US-spec headlights were swapped out, 8-inch-wide wheels were added, and it wears the factory European front and rear bumpers. That’s pretty much it though, otherwise it’s all original. I am the fourth owner. JH: What kind of driving do you do with this car? DS: I like to get it out every weekend if I can. I don’t like to let cars sit. 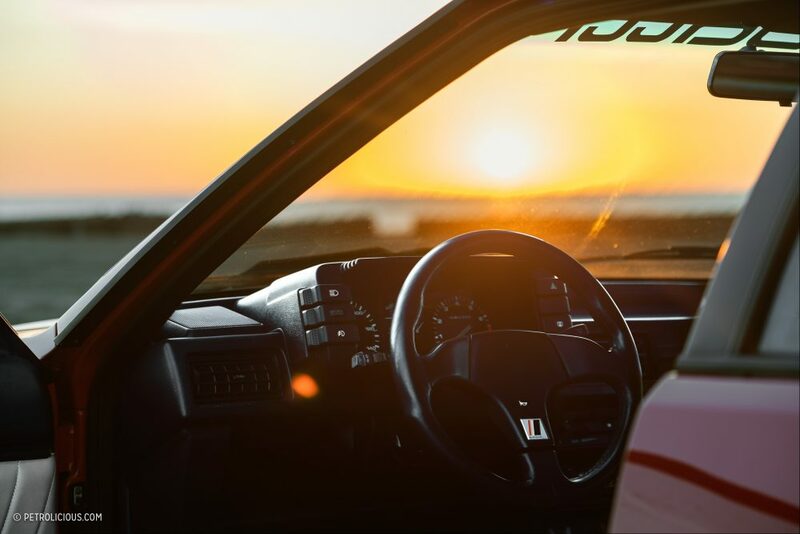 I certainly know it would be hard to replace a windshield or something like that, but I don’t have the wherewithal nor the money nor the space to just have stuff to have it, so it gets driven. I try to visit Cars & Coffee events mostly, but on occasion I’ll take it to work. Overall it’s out and about quite a bit for fun and to share with other enthusiasts. I think I’ve put only ten or eleven thousand miles on it since I bought it though, which was 2010. Not a lot of mileage for nearly eight years, but considering the in first 28 years of its life it only clocked 52,000 miles, it’s quite a few as a percentage of the total. JH: What’s the maintenance like on it? DS: Actually very, very simple. Mostly just routine items: oil changes, spark plugs, spark plug wires, rotor caps, things like that. I just recently had some clutch work done too, but that was just for 30-something-year-old bushings in the clutch. Otherwise this thing is just so robust, they hand-built these cars like tanks. It really is indestructible. I think the fact that it’s always been garaged, and always been cared for means the plastics have held up really well too. So I really haven’t had to do much in that regard. JH: What’s your most memorable experience with this car? 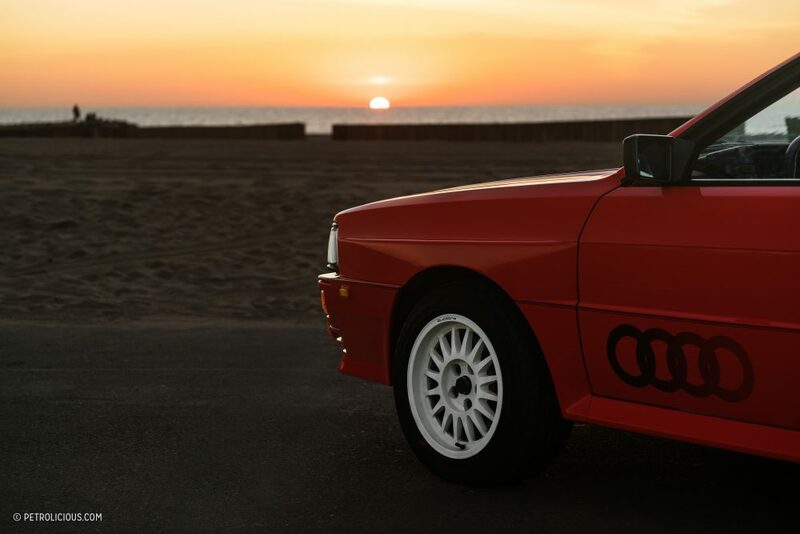 DS: I drove the Audi from LA to Pebble Beach in 2012. That’s the longest journey I’ve done in it, and not a single issue cropped up on the way there or back. This car drives easier and smoother than any other car I own right now, which are an Audi TT and a Porsche 914. This thing is so smooth, it soaks up bumps like nothing, and it’s got some decent ground clearance so you don’t worry about bottoming out. You’d be surprised, in stop and go traffic it’s easier to drive than a lot of new cars. It’s super simple, was way ahead of its time. JH: Have you ever taken it off pavement? DS: I have actually, on a couple frontage roads and dirt roads and things like that. 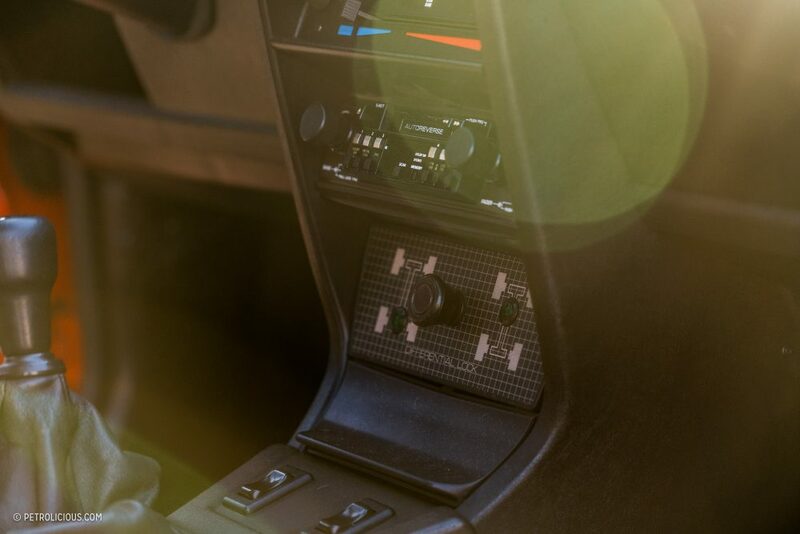 I wish I could get over the fact that was so nicely maintained, because I would love to just really hoon it a few times, but the better part of me says it’s not a great idea. 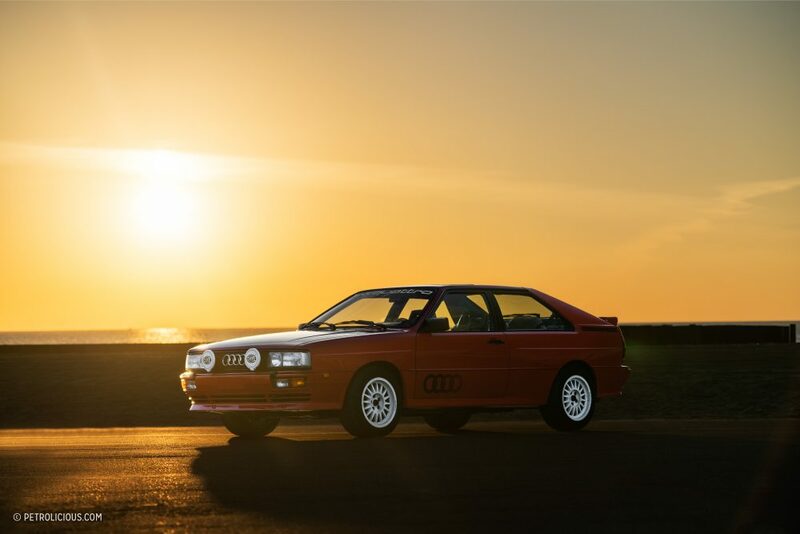 All-wheel drive is so good in traction controlled situations also so I don’t do it that often to get my fix of Quattro. JH: Has it ever seen snow? DS: It’s only seen snow at the top of the Angeles Crest Highway. About three or four years ago, I took it up there after a heavy snow and we were above five or six thousand feet of elevation. I did a couple of little donuts in the powder of course, but nothing too exciting. JH: Well that must have fulfilled your needs just a little bit right? DS: It did, it did. It made me want to drive it all the way home to Colorado in the winter in fact. I haven’t done that yet, but it’s something that I might eventually get to. JH: What’s next for this car? DS: I do have some plans for it. The car is so perfect the way it is I really don’t have much desire to change its looks, but performance-wise I’d like to get the suspension down just a little bit. 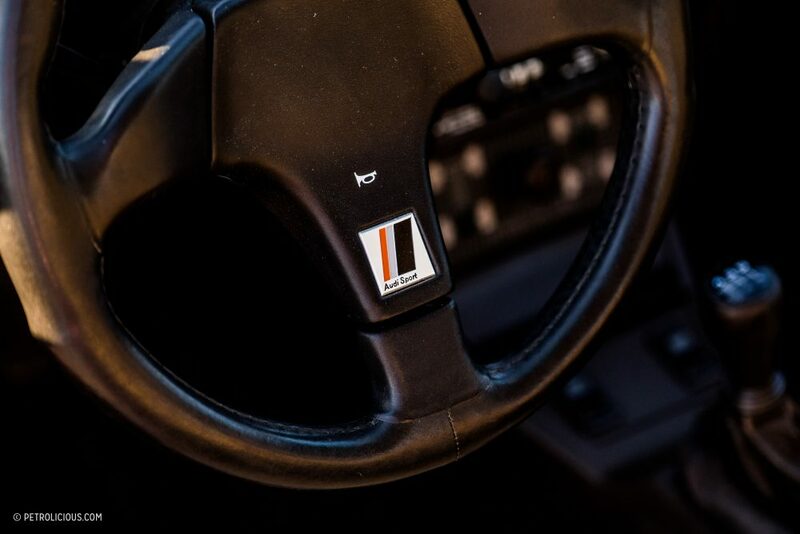 It totally has that ‘80s float to it—a lot of suspension travel—so when doing the roundabout at the Long Beach airport it definitely leans like an ‘80s car! So I’d like to do some mild suspension work and then potentially some exhaust work as well just to get the note a little throatier and heavier. Other than that, not a whole lot is needed for me! JH: What makes this car really special as is? DS: Those who know it, go nuts for it. 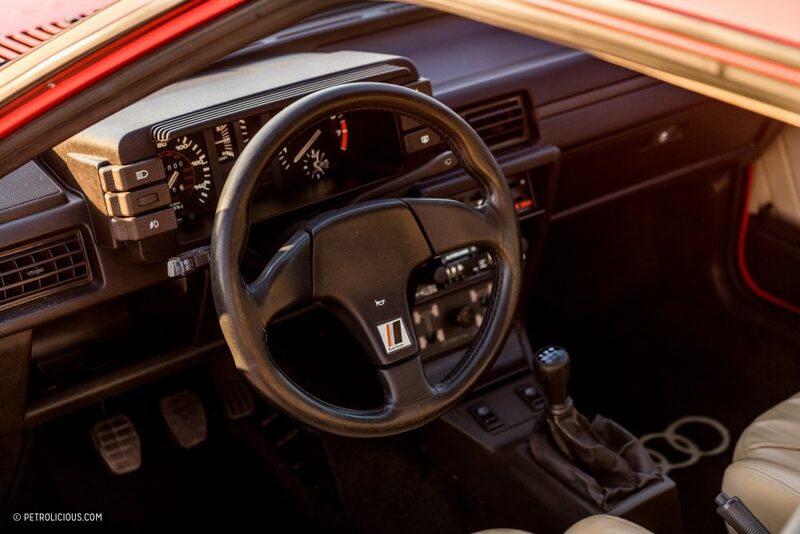 The purists see it and recognize that it’s a time capsule. 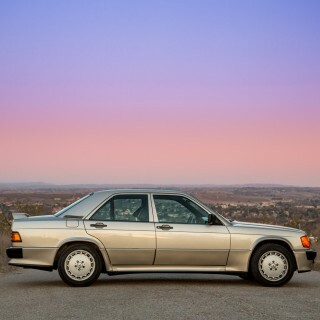 I’ve had people following me on the freeway after they see it, freaking out, going in behind me, in front of me, to the side, wherever, and nearly swerving into me as they’re taking photos or just marveling at it because it is in such good shape. Honestly the people who don’t know about it also still are kinda fascinated by it too; it’s not a complete sleeper in red after all. 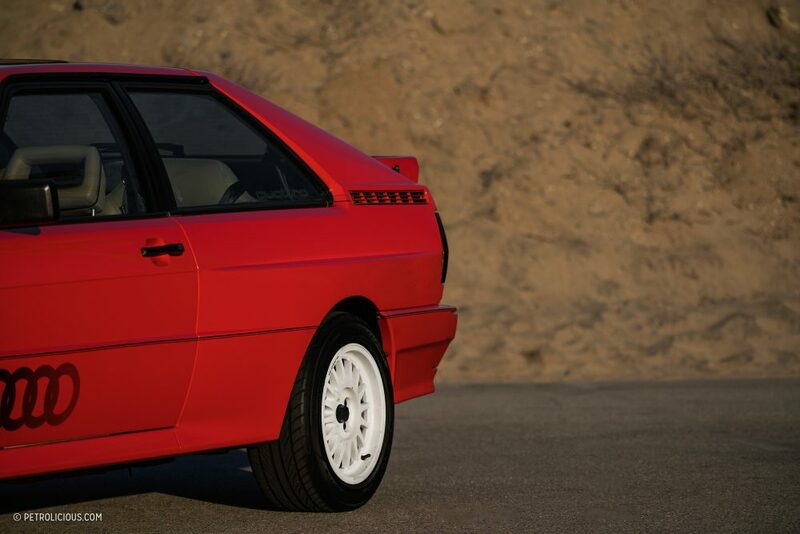 You can just sense it from the box flares, the super-‘80s styling, the almost inverted A-pillars, it just makes people stop and take a look. 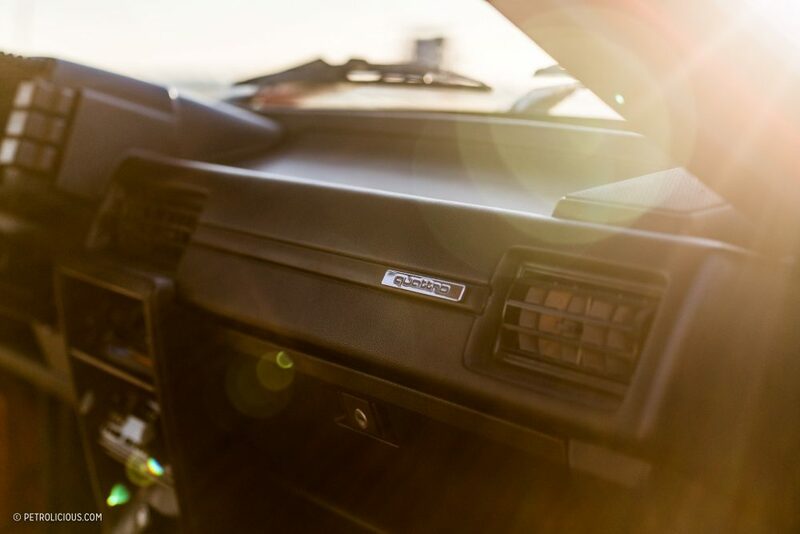 Even when they find out it’s an Audi Quattro, maybe some have heard of it, or know some of the Group B rally history, they’re still surprised by its age. Only a little over 600 of these made it to the states in the six years it was sold here, and maybe a couple hundred of those are still on the road. And then how many of those that are left are in any kind of decent condition like this one? It’s just one of those marvelous things because they really were never meant to be in nice weather states like this. They were only sold in inclement weather areas for the most part, so most of the people who bought them used the hell out of them and they deteriorate if you do enough hard driving in the snow and salt. The fact that this one isn’t beaten up is part of its mystique and its charm to me. I know I’m lucky to have it; you just don’t get to see them like this. 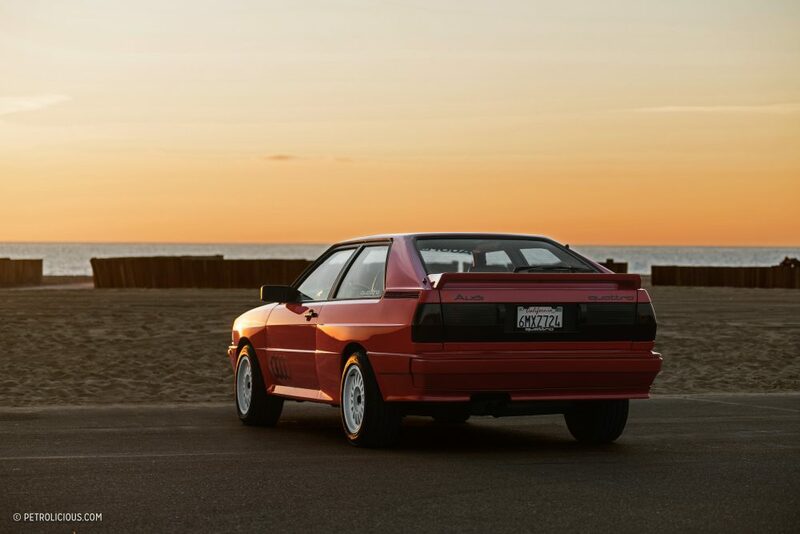 Never once seen a posting from a former quattro owner who has had anything but regrets at no longer owning one. They’re keepers and that one’s a beauty. I don’t think the rear bumper is a Euro piece. 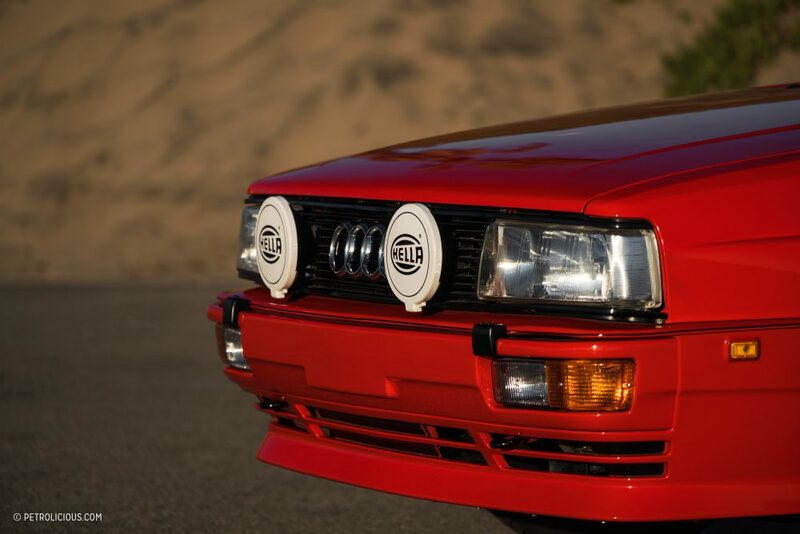 Euros contain the reflectors and I don’t see them here. 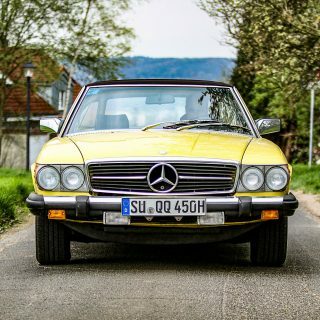 While early Euro cars did have quad headlights, they were not like NA items as they were not sealed beam, they had replaceable bulbs and Euro light patterns. The lamps were also dimensionally different. 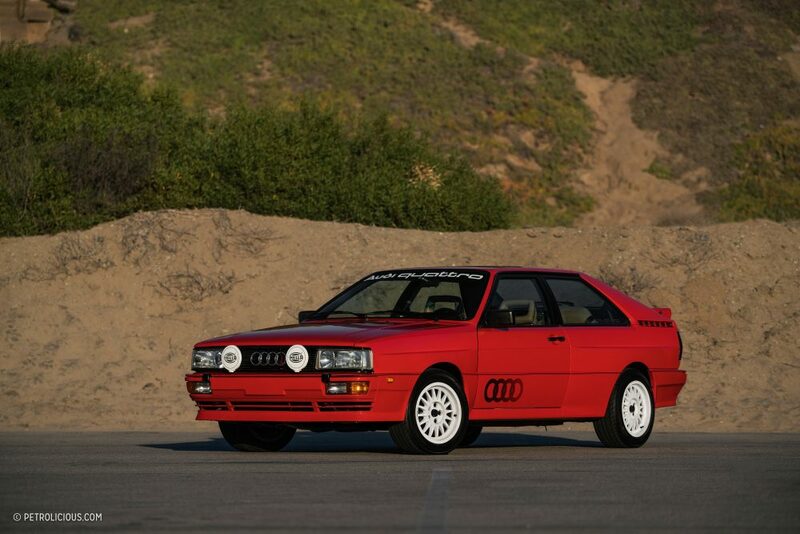 What a great car, however, I don’t know if my Quattro owning/maintaining buddy would agree that they’re “super simple”. 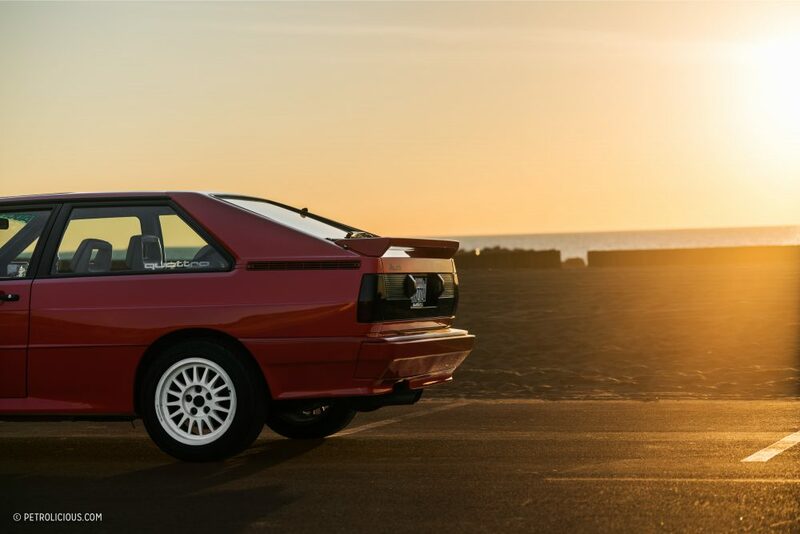 I believe the homologation requirement was met by the short-wheelbase Sport Quattro. 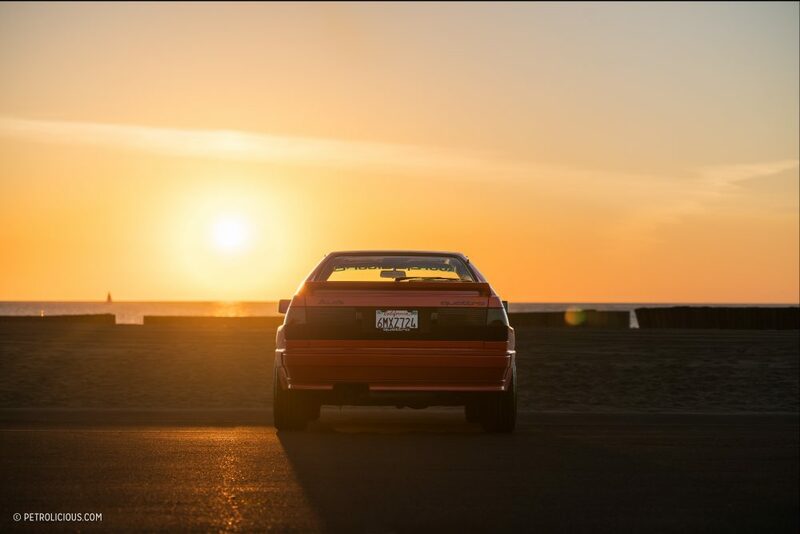 That car gave birth to the 20V 5-Cyl in 300 hp form. 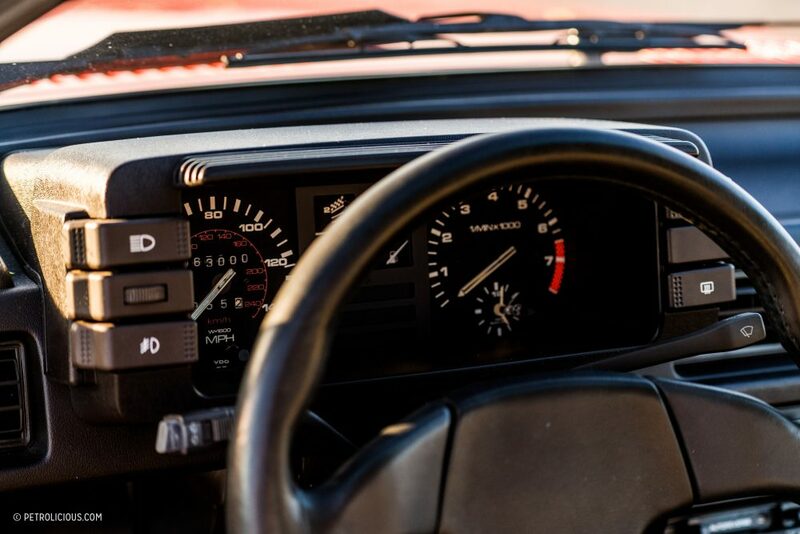 In the rally cars, the 20V was between 600 & 800 hp. Tuners have got in excess of 1000hp form a 5 cyl 20V. 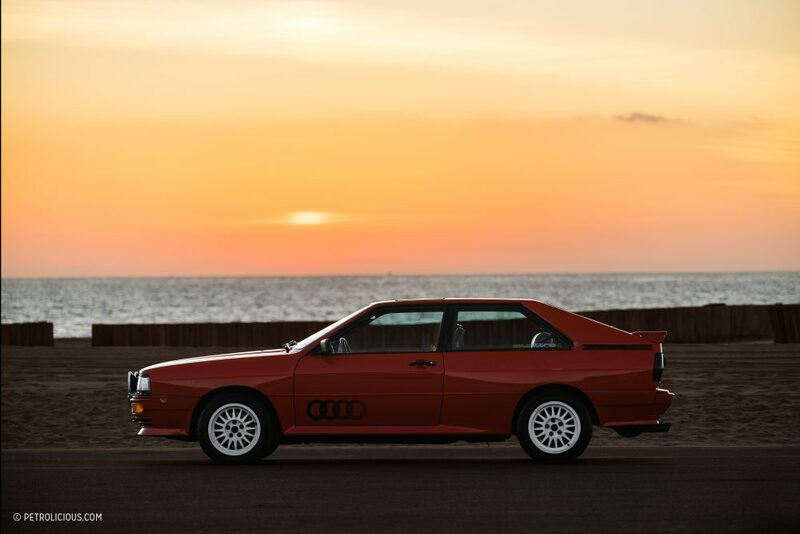 I had an 82 urquattro for more than 10yrs, sold it before I moved from the UK to France. 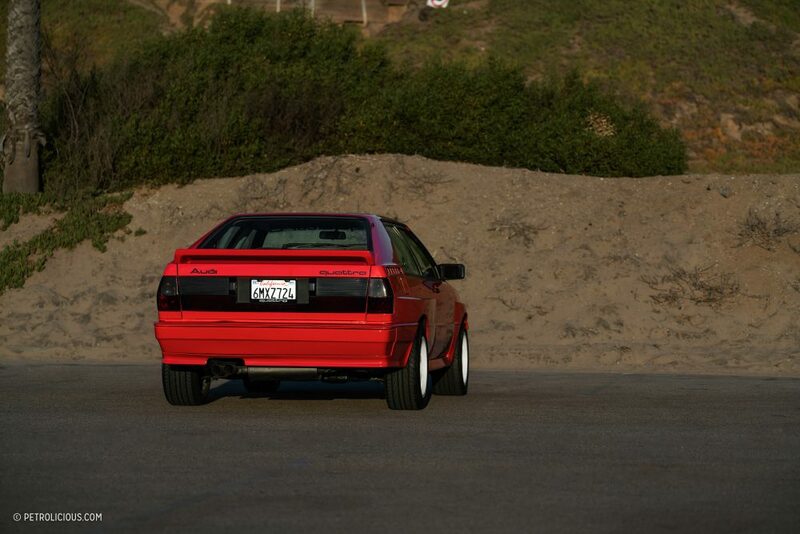 Wish I still had it though as it was the most fun car I ever had. Great to see one of these cars looked after and used.